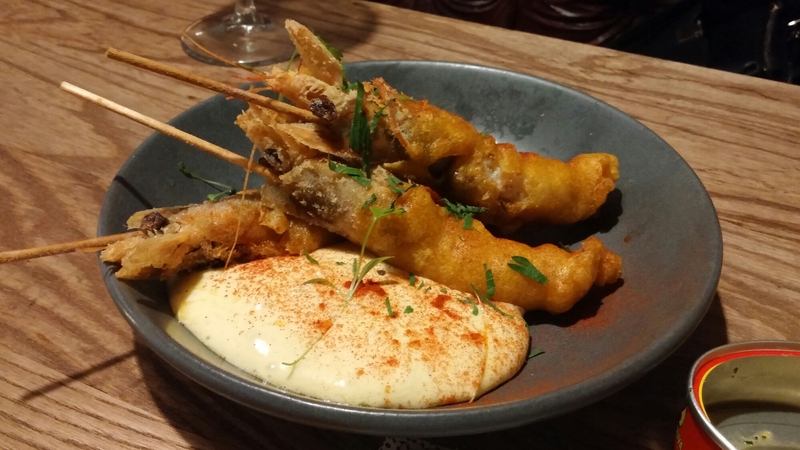 With my life long love affair with all things Iberian, I was beside myself with excitement at the news that the wonderful Penarth and Cowbridge based Bar 44 was finally expanding its operations to Cardiff and watched with eager anticipation as the place took shape. it pretty much ticks all of my boxes food and drink wise. 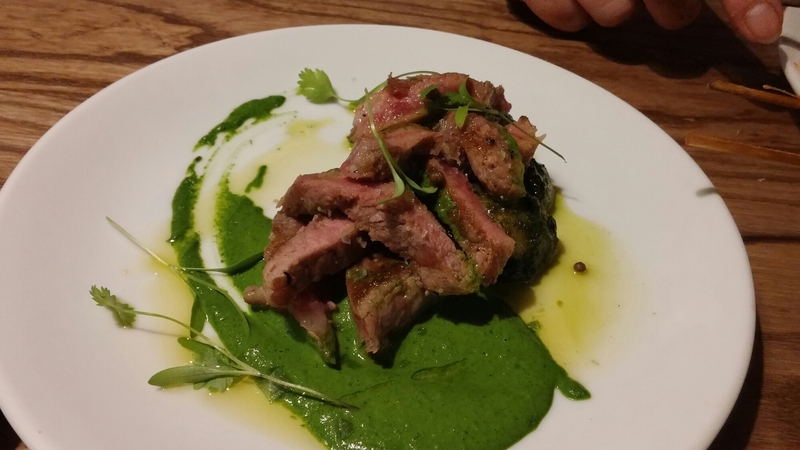 I went and had a thoroughly wonderful time at their soft opening and launch events, but this post mainly relates to a pre theatre (The Everyman Theatre, Black Adder III open air production – which was good fun) dinner visit (after it had fully opened) with Mrs. SF. 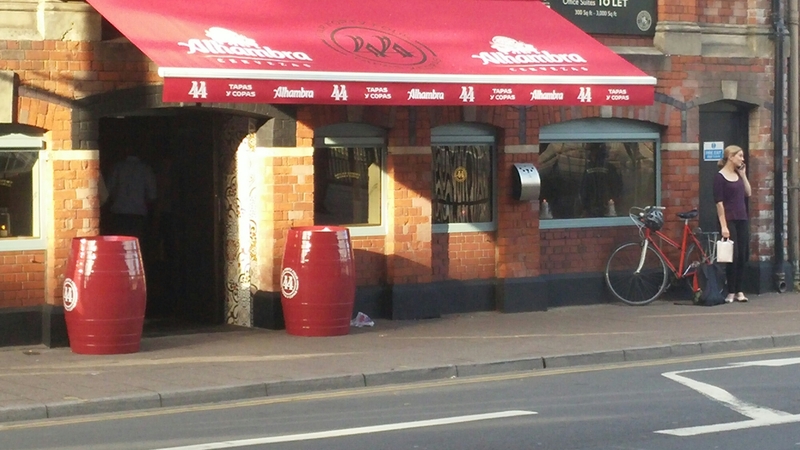 It is located in the unit on Westgate Street which use to house Pica Pica and then the rather short lived Feather & Bone. Have to say they have done a cracking job of doing up the place, which in previously incarnations had a sort of dank gloomy feel to it. This has all gone and the result is a lovely airy, but still cosy space. It is made up of lots of distinct, but interconnected spaces which gives it a feel of intimacy despite its size. 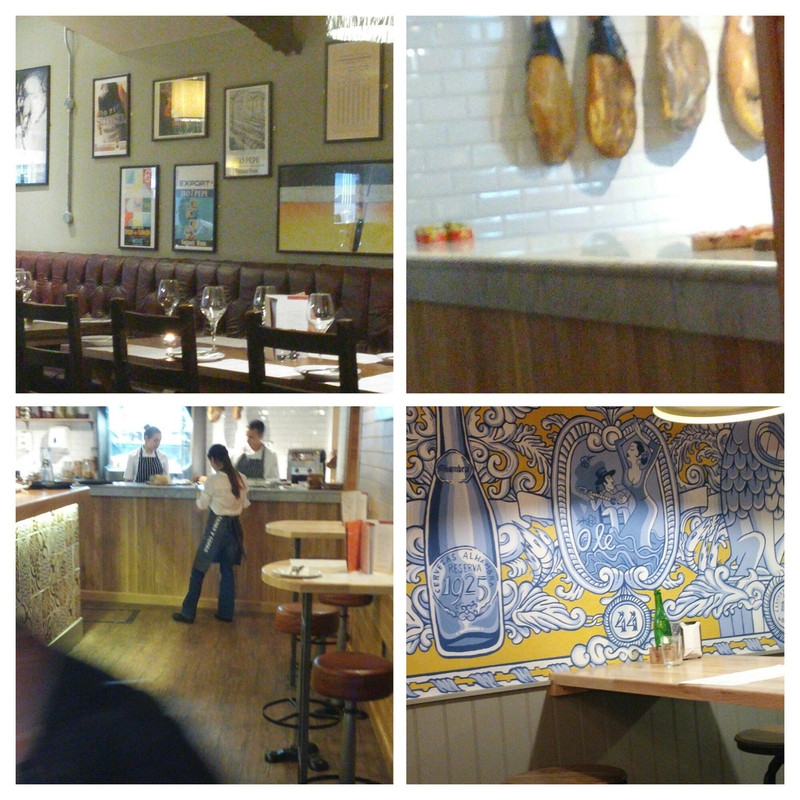 Ceramic tiles, Tio Pepe posters, vaulted ceilings and hanging hams give it a classic upmarket Spanish bar look and you feel like you have been transported to Madrid, Malaga, Barcelona (particularly with the supposed heat wave on the way) or even my beloved Donostia San Sebastian. It is a delightful mix of old style Spanish charm and modern design. 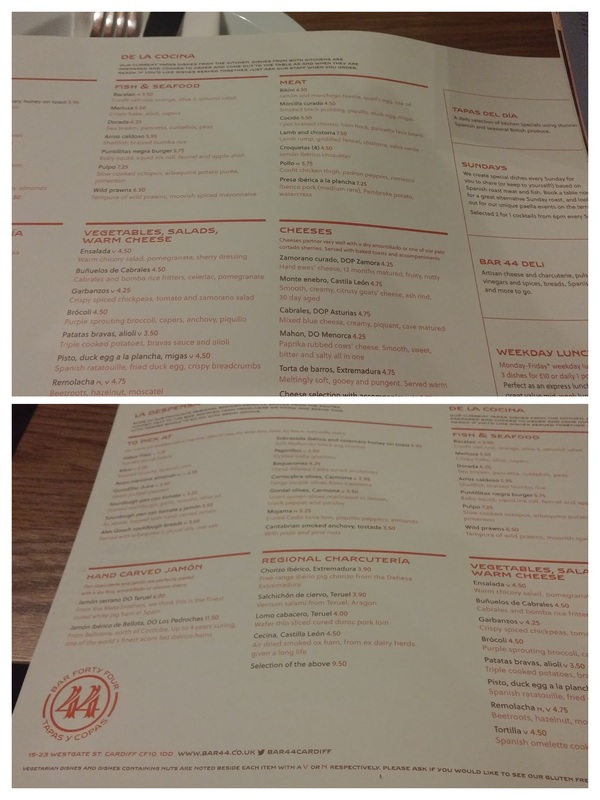 There was literally nothing on the menu I don’t like and my biggest problem was being spoilt for choose. Mrs. SF rightly limited us both to a set number of dishes to stop me going mad and over ordering, but then which ones to go for? Decisions, happy decisions. 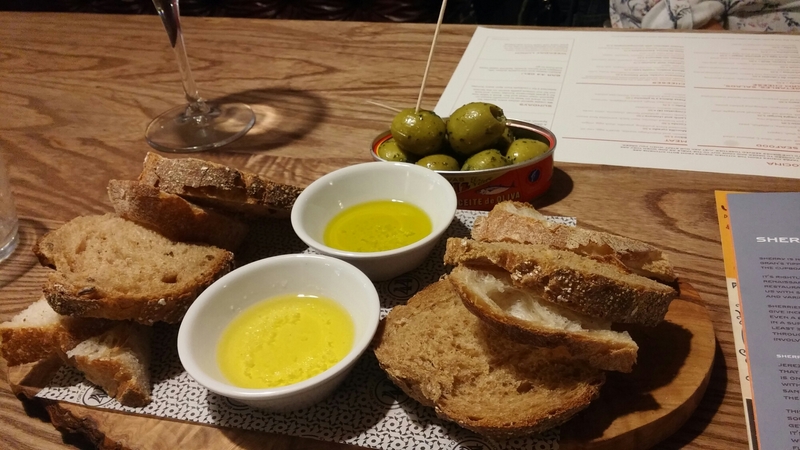 As we studied the menu we grazed on juicy, fat, green gordal olives (£3.50) and brown and white sourdough breads (£3.60) with two excellent olive oils. Eventually we reached agreement on what we wanted and ordered. First up was a lovely plate of shimmering bocqerones (£4.25). 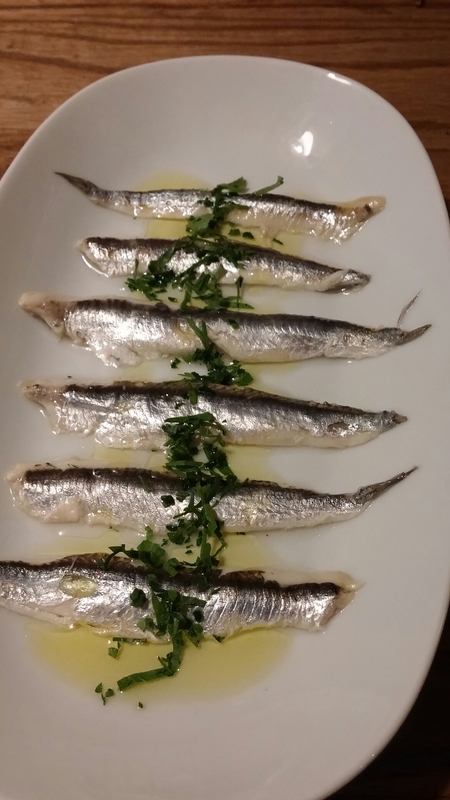 I love anchovies and these silver backed pickled ones (rather than salted – like those also mind) are mine and Mrs.SF’s absolute favourites. Here they were nice plump specimens, which weren’t overly vinegared, and with the fresh herbs scattered on top were nicely zingy and fresh tasting. Perfect with the carafe of Micaela Manzanilla (£12.75), with its seaside brininess, we had to start off on the drinks front. 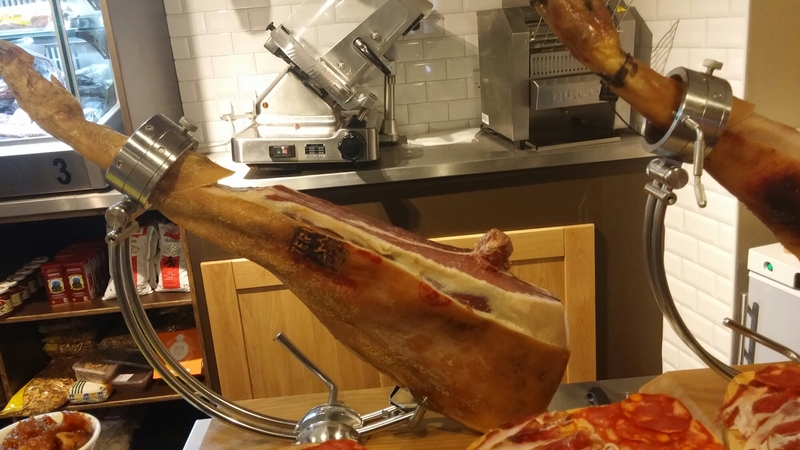 Next up was, that Spanish classic, jamon croquatas (£4.25). 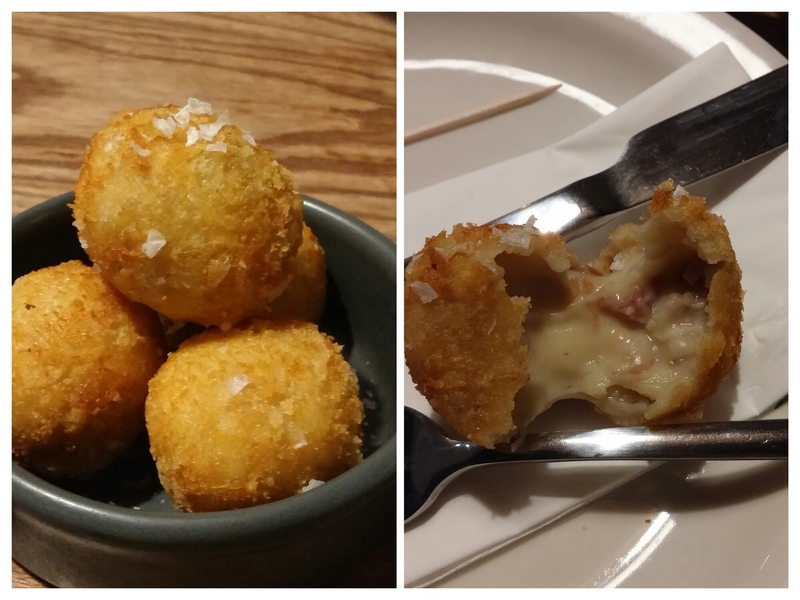 These were beautifully crisp on the outside with a lovely silky smooth bechamel interior within which floated nuggets of good quality jamon. 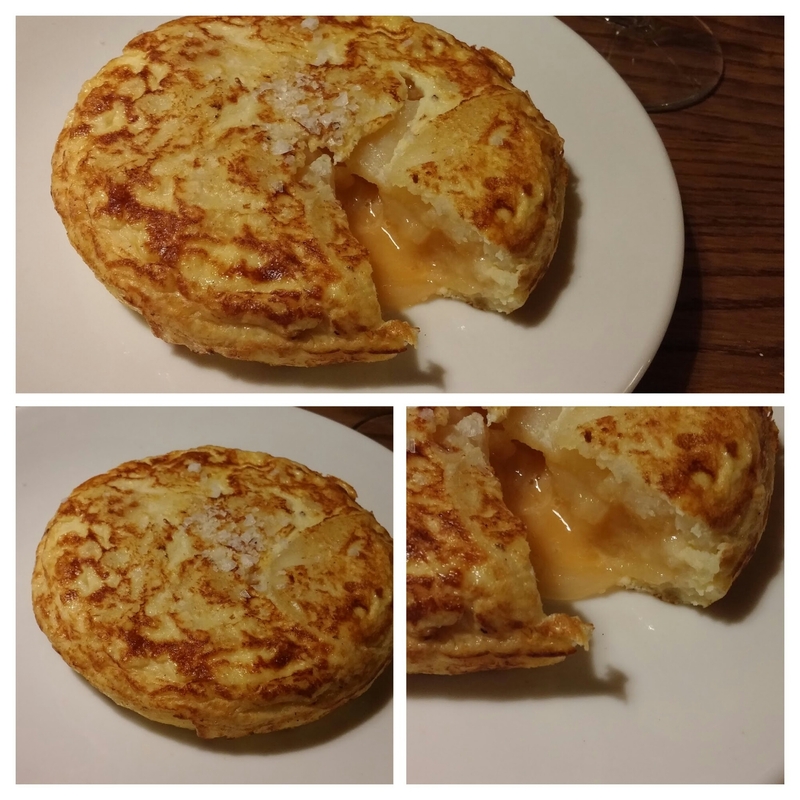 I have had many, many croquatas all over Spain and these were up there with the best. None of your cold in the middle horrors here. Wild prawns (£6.50), real whoppers, were pretty as a picture. They were cooked perfectly with a crisp light battered exterior, crunchy (but edible) shell and a soft yielding interior. Full of flavour, I eat them heads and all. Love a bit of prawn brain me. The accompanying light mayonnaise based sauce with moorish spices was also excellent. My only slight gripe here was why three prawns? Not great for sharing between two, with eventually Mrs. SF getting the tail end and me getting the head end of the third one. Next up was a tortilla (£4.50). Not the stale/reheated in the microwave version here, but one cooked to order. To me, this (with croquatas) is a good bench mark of a tapas bar. If they can make it properly then you are on to a winner, if they can’t move on. This was text book, with a lovely gooey interior, bags of flavour and properly seasoned. There are bars in Donostia San Sebastian where people queue for the freshly cooked tortillas. I would queue for this one. On to the meat, we had the Presa Iberico de la plancha (£7.95), a cut of pork which was here (as it should be) served medium rare. I know many people in the UK struggle with even a hint of pink in pork, but for quality Iberico pork it is absolutely fine as it should be cooked like a good steak. Here they got it just right. Great piece of well flavoured meat, cooked perfectly. The accompanying sauce and potatos complimented the pork beautifully. Last up was a plate of cheese (£9.50). 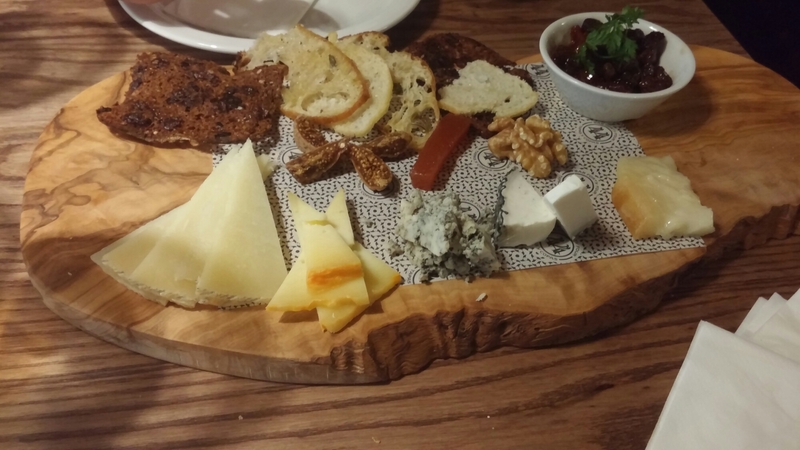 This consisted of a selection of hard, soft and blue cheeses with Pedro Ximenez soaked raisins, dried figs, a tomato chutney, nuts, membrello (quince jelly) and a variety of crisp breads. All were excellent. With the meat elements of our selection we had a glass of Alfonso Oloroso sherry (£4.75) which had a delightful nuttiness to it that went well with the Iberico pork. Amontillado and Oloroso sherries go really well with meat and game and I would urge those who have not tried them to give them a go with this sort of food. With the cheese we had a Leanor Palo Cortado (£5.10). 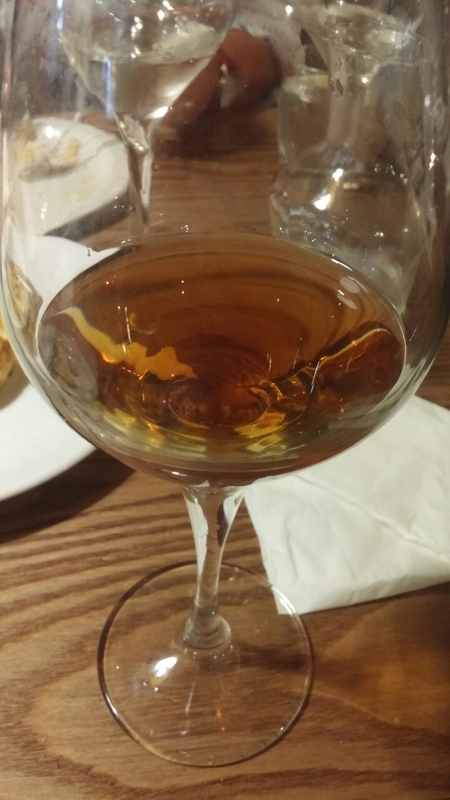 This sherry is sort of half way between an Amontillado and an Oloroso and here was poured direct from the barrel (I love that). Lovely smooth caramel notes and hints of spice and dried fruit here that worked really well with the quite tricky to match mix of cheeses (especially the blue). I love sherry (easily the best value white wine around in my view) and Bar 44 has a great selection of really good sherries. For a sherry lover like me, this and the “sherry loyalty card” (buy 7 get the 8th free – don’t mind if I do) is absolutely brilliant. Non lovers of sherry (don’t know what you are missing) are also well catered for here with an excellent and varied selection of Spanish reds and whites (plus a few roses and fizzes). These go way beyond Rioja, with for instance a red from Granada province in Andalusia (not an area usually associated with red wine) and whites from all over Spain including Alicante, Pais Vasco and Somontano. 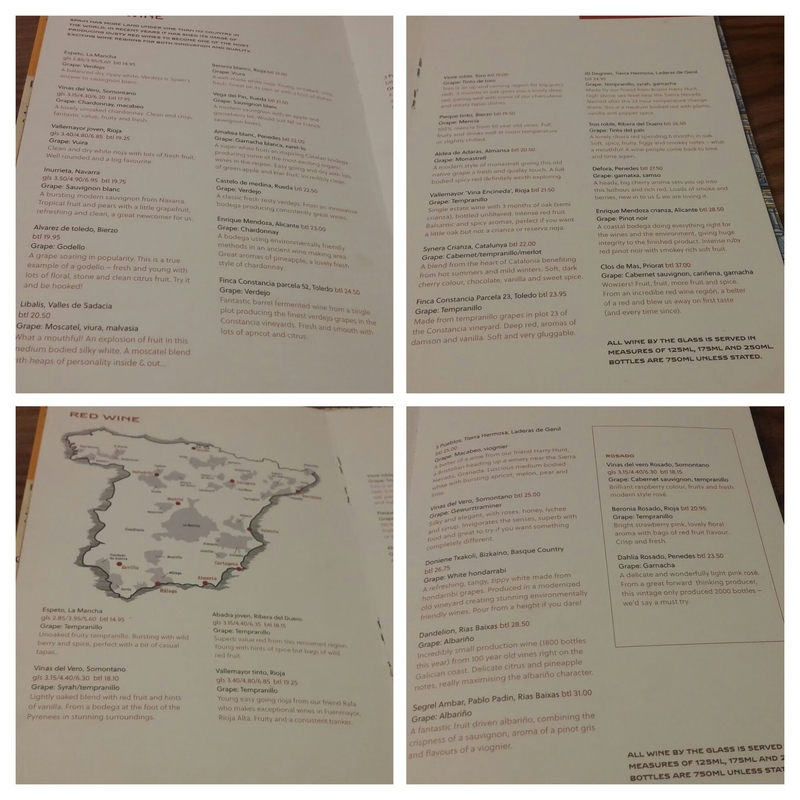 For those looking for the more familar, there are Rioja, Ribera del Duero and Priorat reds and Godello, Rioja and Albarino amongst the whites. Mark up are mostly reasonable with, for example, the Granada “20 Degrees” red retailing at around the £12.50 mark being on the list at £24.95. and you have pretty much my perfect bar. 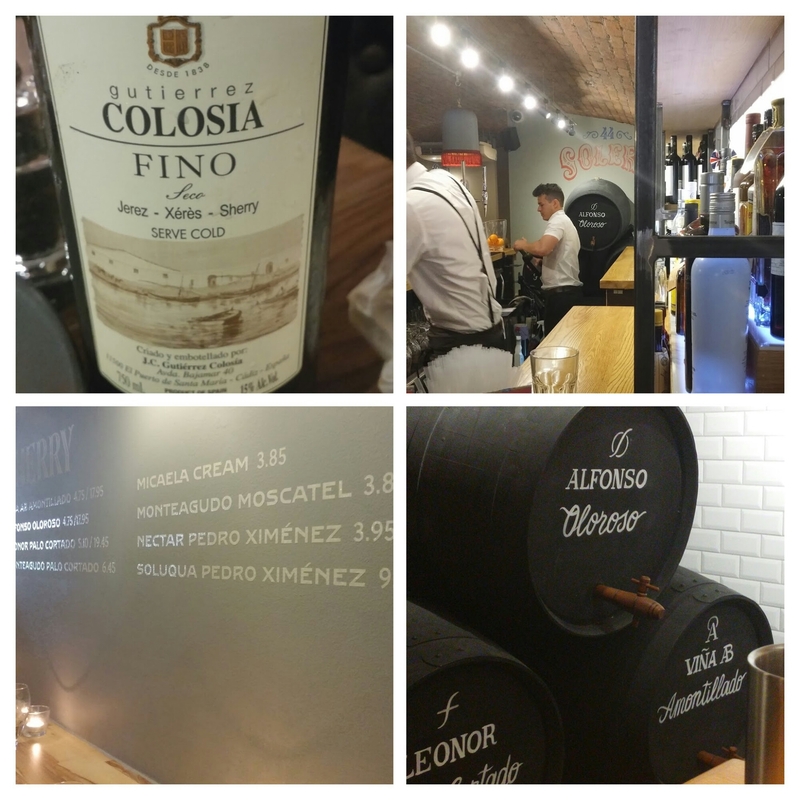 On my visits ( including their soft opening and launch, as well is this one) I tried a fair few sherries (Manzanillas, Finos, Amontillados, Olorosos and Palo Cortados – did I mention I love sherry) and all were served at exactly the right temperature and were in perfect nick. 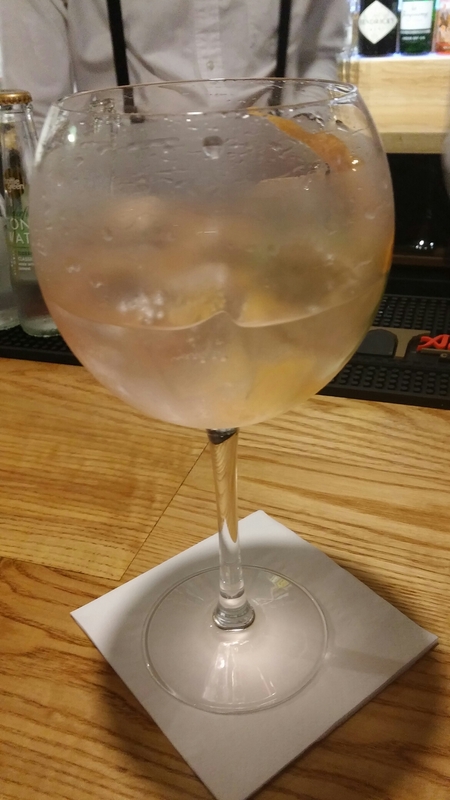 I heartily approve of them serving sherries in normal white wine glasses rather than copas (you can have a copa if you like). 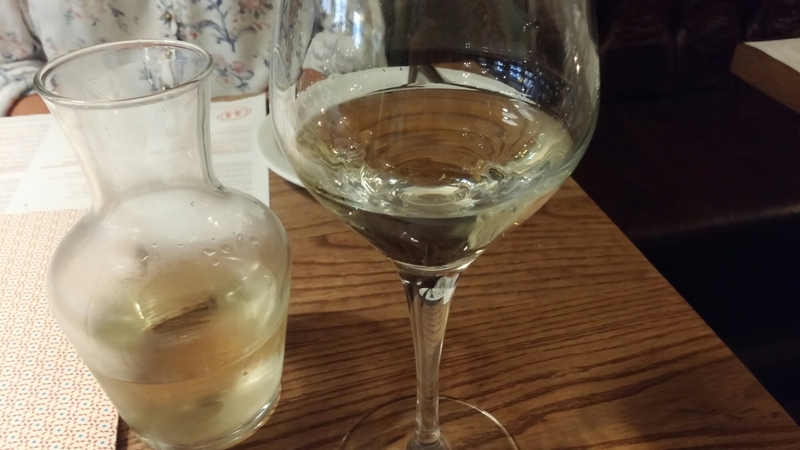 To me sherry, particularly Manzanillas and Finos, should be drunk like any other white wine. 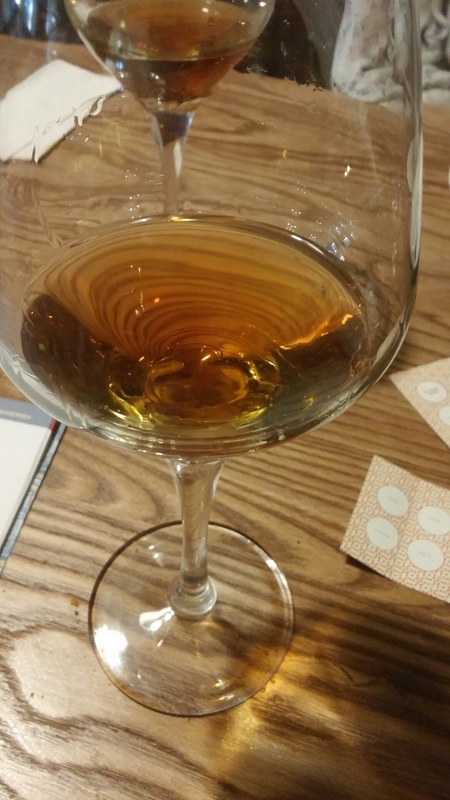 Sherry and tapas are a match made in heaven and there is a match here sherry wise for everything on the menu – fish (Fino and Manzanilla), poultry (Amontillado), meat and game (Oloroso) , cheese (Palo Cortado) and even desserts (Pedro Ximinez). 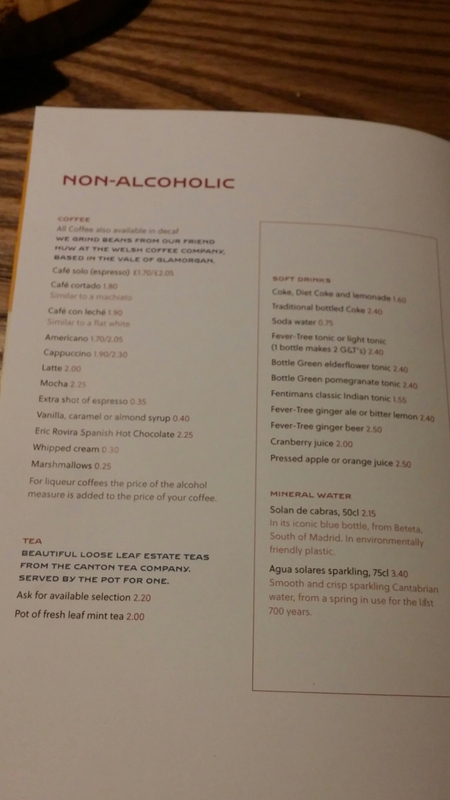 Bar 44 is the perfect place to experiment with sherries and food and the list is nicely informative in terms of food matches for each wine. All in all a fairly priced, innovative and diverse offering built to please all tastes. I absolutely love this place. 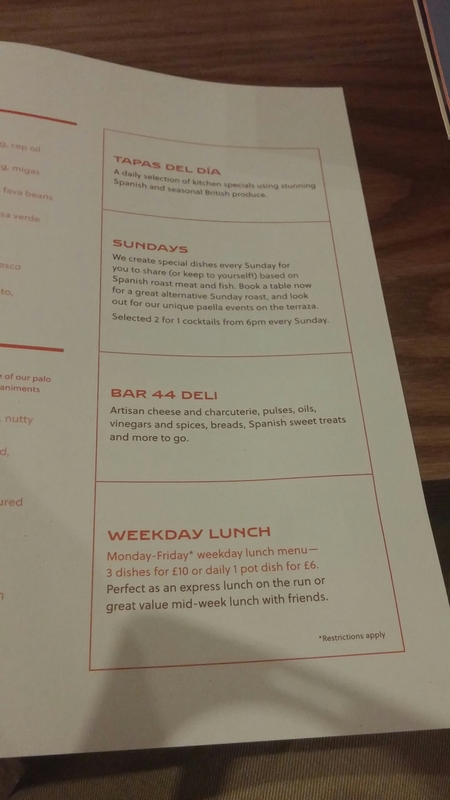 Great food and fab sherry (and other drinks) to go with it always makes me happy and Bar 44 is my new happy place – a slice of proper Spain in the centre of Cardiff. Price wise, we paid all in for the food and drinks (excluding a well deserved tip) £75, which included lots of sherry and also some after dinner coffees. As the title suggests, to me this place really raises the bar food and drink wise in Cardiff city centre. They also have a very good lunch time offer, which I can see me taking advantage of alot. Sunday lunch also sounds rather enticing. Would I go back? Try and stop me!!!! Mrs. SF (jokingly – I think!) said we should buy one of the flats across the road from the place to be nearer. We will certainly be very regular visitors going forward. 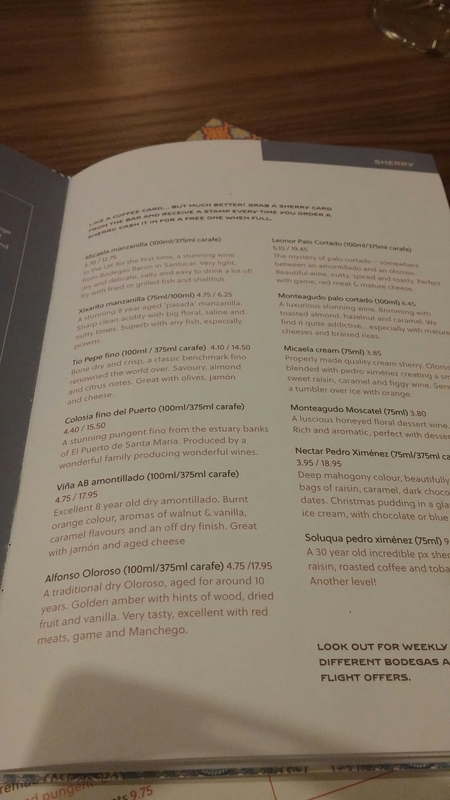 This entry was posted on Jun 28, 2015 by solicitingflavours in Bar 44, Basque Country, Cardiff, charcuturie, cheese, Drink, Fixed Price Menu, Food, Food and wine products, Galcian white wine, Godello, lunch, lunchtime, New restaurant Cardiff, pintxos, Red Wine, Restaurant Review, review, Rioja, Sherry, Spain, Spanish wine, Tapas, Tapas bar, Wales, White wine, wine.